Edward Bawden: Sheet of wallpaper Napkins & Fruit 1926. 59 x 75cms (c.23 x 29.5 inches). Printed at the Curwen Press. Creasing and 5cm repaired tear on the top edge. These wallpapers were issued in sheets rather than rolls. Category: Miscellaneous. 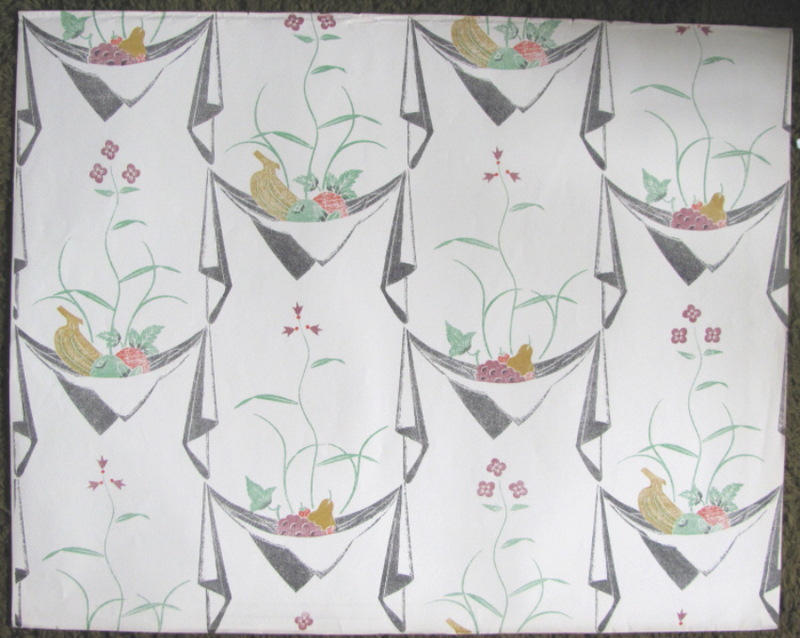 Tag: Edward Bawden Wallpaper Napkins & fruit.